Apolitical is a peer-to-peer platform that helps public servants connect with the ideas, experts and partners that could help them to tackle some of the biggest challenges facing global society. It has been adopted by institutions in more than 90 countries around the world – including the UK government, the UAE government and Unicef. 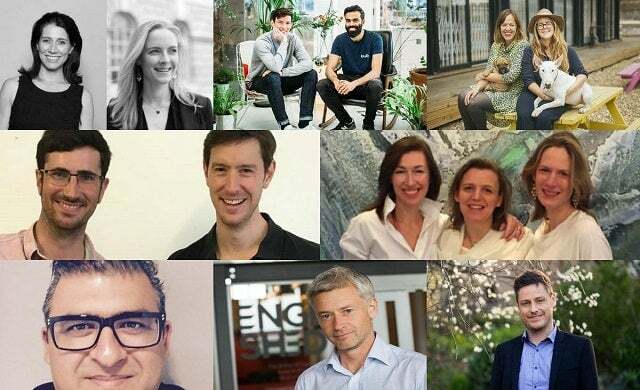 The London start-up on a mission to “make the whole energy industry better”, Bulb is a 100% renewable energy company currently supplying over 100,000 members with 100% renewable electricity and 10% renewable gas at prices it claims are “20% cheaper than the Big Six”. For every new member that joins Bulb, £2 is donated toward the Edible Playgrounds programme, which turns drab school playgrounds into vibrant spaces. Started to address the problems of maternal unemployment and the digital skills gap, Digital Mums equips mums with the digital skills necessary to embark on freelance careers from their homes. It also helps businesses by training them to better recruit and train women, training current staff, and giving them access to skilled part-time workers. Inga Wellbeing develops a range of clothing that helps those fighting medical conditions to dress as they did before they were sick. Designed by a fashion designer and informed by medical experts, the company’s clothing help give patients dignity and independence when they need it most. Medshr is the app developed by doctors for doctors that provides a safe and secure space for verified medical professionals to connect and share knowledge and learning of clinical cases. Launched in October 2015, it now has over 300,0000 members in 180 countries and sees 1,000 new ones join every day. Wefarm is an SMS and online service that enables farmers to share and access essential information with other farmers around the world such as how to battle a disease, increase yield or boost their income. 320,000 farmers are now using the system and around 1,000 are signing up every day.